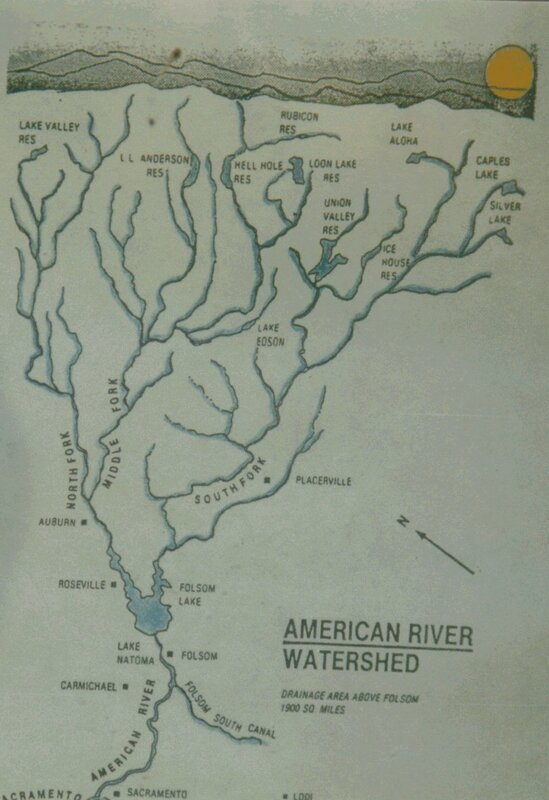 This is a photograph of a map posted at the kayak launch at Ralston Afterbay. The reference to L.L. Anderson Reservoir at upper left will be seen on maps as French Meadows Reservoir. The division between the Tahoe National Forest and the El Dorado National Forest is at the middle of Hell Hole reservoir.